We’re developing robotic systems that help humans perform dangerous tasks, and expanding the Australian robotics industry. Above, Weaver. No image credit. The family of robots that live at our Data61 are incredibly diverse. They’ve got legs, wheels, cameras, sensors, fins, blades and magnets. They sense the world, navigate it autonomously, and they traverse places too dangerous and dirty for human work. They’re as varied as the challenges they’re designed to resolve, but the common DNA is a focus on the use of cutting-edge data science. This isn’t something we go at alone—our partners include: DARPA (Defence Advanced Research Projects Agency), Rockwell Collins, Boeing, Woodside, Queensland University of Technology, and many other government, universities and enterprises. 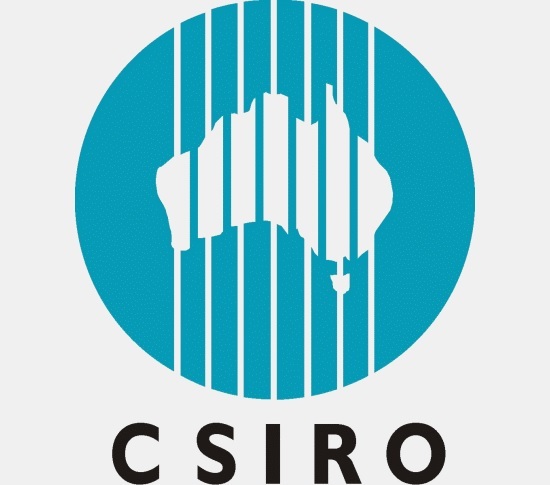 We recently announced the Sixth Wave Alliance, to develop a national robotics R&D strategy and create the critical mass required to address large-scale Australian and international challenges using robotics technologies. This week, we’re also at the International Conference on Robotics (ICRA 2018), where we’re showcasing the best of our bots. Meet the family below, and read more about our robotics research here. Sucking up information from the world is a capability we fleshy humans take for granted. 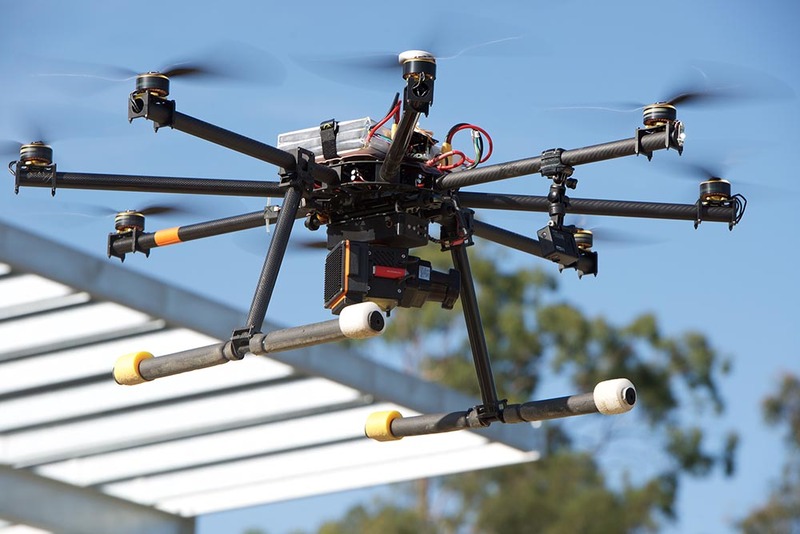 Data61’s robotic and autonomous devices are particularly good at sensing and mapping – two capabilities that are of high importance for modern robotics and industries like mining, exploration and environmental conservation. Drones are increasingly common as consumer goods, but they’re reliant on direct access to global position satellites (GPS). Hovermap is a 3D mapping system that uses LIDAR (light detection and ranging) technology, combined with Data61’s proprietary Simultaneous Localisation and Mapping (SLAM) solution. Hovermap works in conjunction with a UAV (uncrewed autonomous vehicle), and can map both indoor and outdoor locations without relying on GPS. Zebedee, our high-accuracy 3D laser mapping technology, was commercialised and is already being used around the world by 25 multinational organisations. It was recently trialled by the International Atomic Energy Agency in nuclear safeguards inspections. Camazotz, named after a Mayan bat god, is a small, portable device that is used to monitor flying foxes across Australia, helping ecologists understand and predict the spread of disease. The Wireless Ad hoc System for Positioning (WASP) uses similar tags to track vehicles and mine workers relative to reference nodes – assisting with safety and boosting productivity. You’ve probably seen videos of animal robots doing clever tasks and being shared with a tone of alarm. Legged robots aren’t reason for alarm – these systems are well suited to navigating environments that are too dangerous or dirty for safe human work, such as a chemical spill in a plant or the ceiling beam in a factory. Gizmo is Data61’s newest bot – a small, smooth hexapod designed for versatility and small spaces. One of the motivating applications for this robot is to inspect and map ceiling cavity and underfloor-type confined spaces. 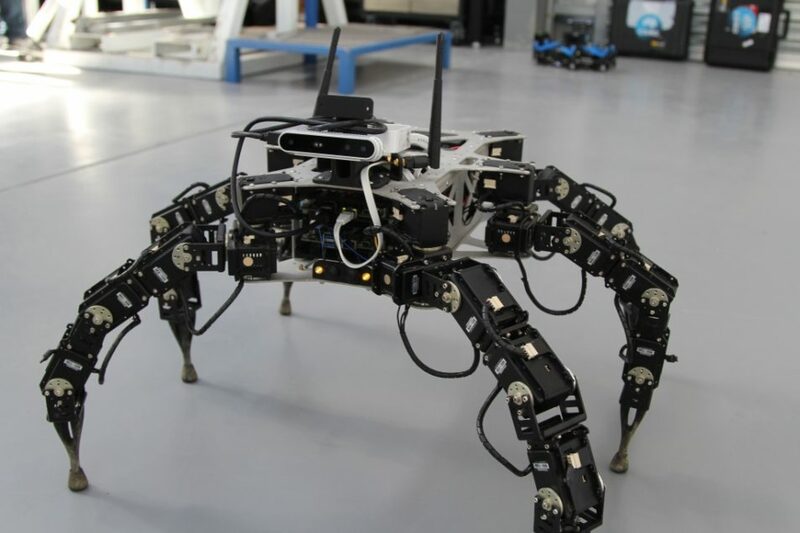 Zee is a prototype hexapod robot equipped with a streaming camera sensor and a real-time 3D scanning LIDAR. 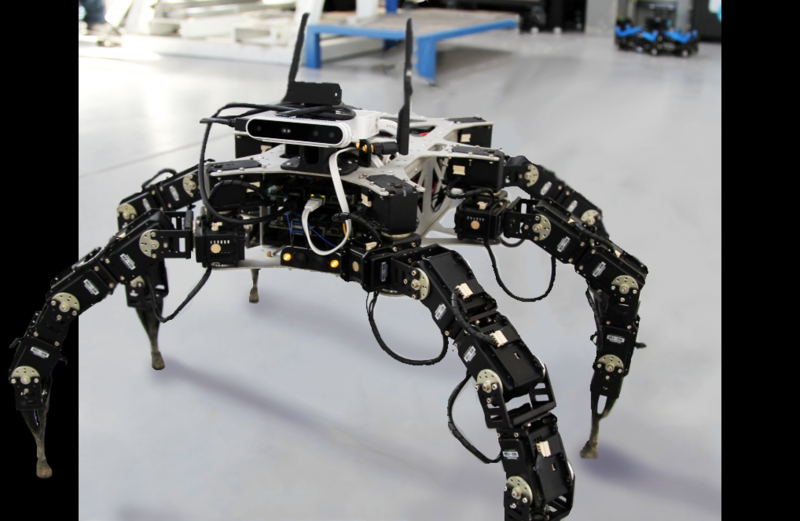 You’ve probably seen Zee around – it’s an older machine but still an excellent demonstration of six-legged robotics. Zee’s big sister, Weaver, features five joints per leg and 30 degrees of freedom. Weaver can self-stabilise through ‘exteroceptive’ sensing – enabling the robot to walk up gradients of 30°, and remain stable on inclines up to 50°. 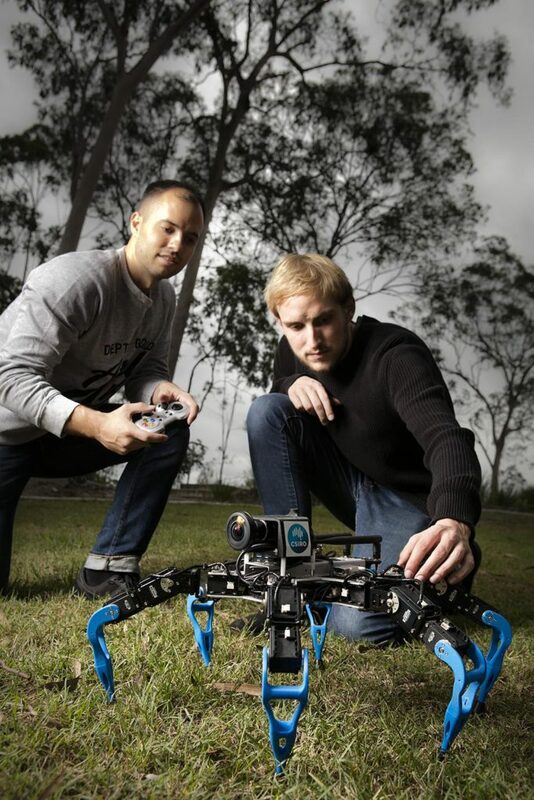 MaX (Multi-legged autonomous explorer) is even bigger – 2.25m tall when standing up straight. But MaX only weighs 60kg; around 5 to 20 times lighter than comparable robots. MaX is a research vehicle designed to help our scientists understand how to traverse and explore challenging indoor and outdoor environments. 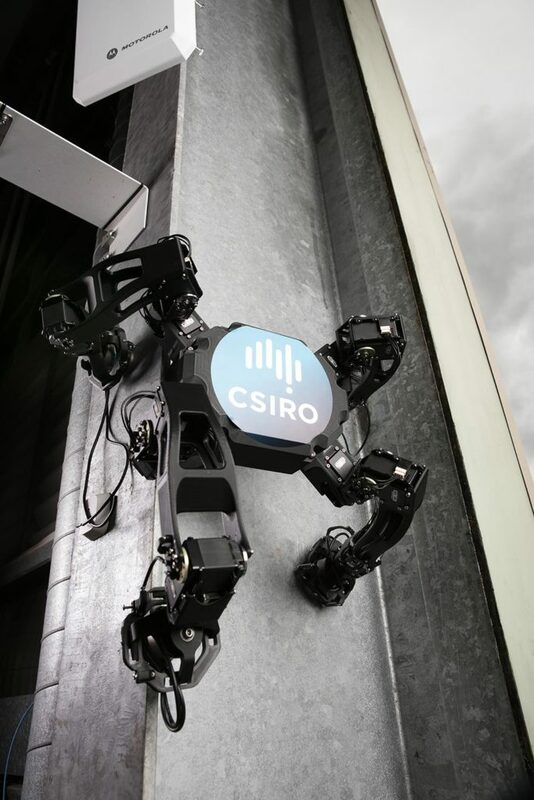 Magnapods are Data61’s wall-climbing, electro-magnetic inspection robots, useful in confined space inspection tasks and capable of carrying a 10 kilogram sensor payload. You can read more about the scientific goals of our legged robot research program here. Creating systems that can navigate and respond without human intervention is a key component in removing the human element from tasks that are dangerous or poorly suited for human control. We’ve developed several ground vehicles normally used in industrial environments that can operate without human intervention, including the Gator, the load haul dump vehicle and the 20 tonne hot metal carrier. Our Science Rover enabled the complicated process of satellite calibration – the autonomous vehicle collects measurements at the same time an Earth observation satellite passes overhead – the two datasets are compared, and the satellite is calibrated. Our underwater autonomous vehicle, Starbug, uses underwater sensor networks to locate itself (GPS signals cannot be used underwater), enabling smart underwater data collection for protection and tracking of ecosystems. Our family of robots is, as you can see, pretty diverse. It’s the broad nature of the challenges they’re addressing that gives them these shapes, from small to big, wheeled to legged.